This is a great car. 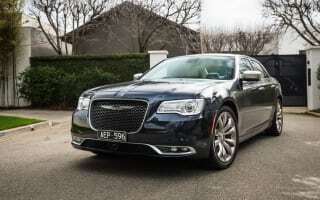 The Chrysler 300c Luxury offers exclusivity in today’s market of mainstream cars such as the Mazda6, Toyota Aurion, and Holden Commodore. The look is menacing and has plenty of power. However, the Bluetooth can sometimes take a bit longer to auto link when you get in. I recently serviced my Chrysler, and with the first service being close to $400 (for a standard service), being told the next service will cost almost double, it begs the question on why there’s a premium. Surprisingly, I have not bottomed out anywhere in the car. It sits pretty low and it rides on 20-inch rims, yet it is still very comfortable. Of course I do the obvious: I take precautions to make sure I don’t scrape the front of my car going up driveways. It would have been nice to have an electric park brake instead of the foot park brake. It doesn’t overly bother me but when you’re paying upwards of $60k for a vehicle with a lot of features, it somehow falls short of the premium side with that park brake. 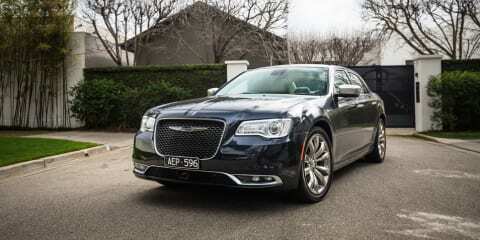 It would be great to have the AWD version of the 300c brought to Australia. I would have waited on my purchase if they were, at some point this year, going to release the 300s AWD but I don’t think that will happen. I hope they keep on track with the recently updated 300c, as they are ticking all the right boxes – especially with the recently face-lifted model. I just hope for the future they can put more tech into the car and still keep the costs reasonable.